Vaughan is a city on the move. With a downtown core rising from the ground, a state-of-the-art hospital under construction and a bustling subway, these exciting projects are transforming the community. 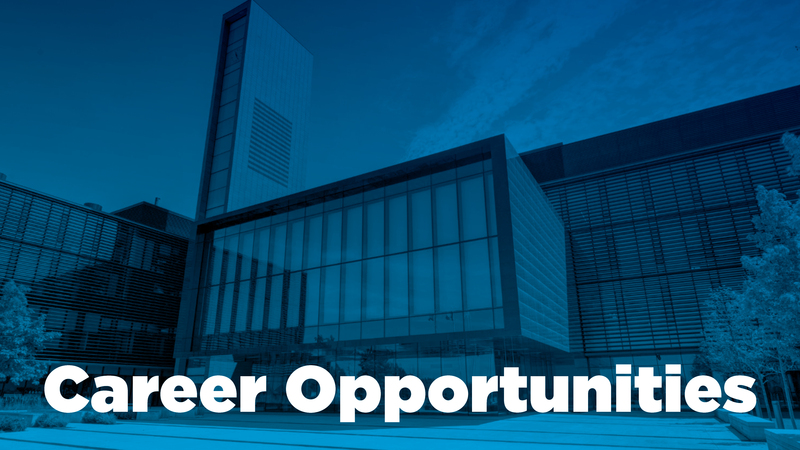 Be part of something amazing and build your career at the City of Vaughan. Provides technical services and coordination to support the successful delivery of projects. Assists in all phases of project activities including the analysis, preparation and maintenance of cost estimates, contract documents and specifications; assists with the procurement processes, project tracking and contract administration as well as coordinating project resources. •	Adheres to the project management principles to develop and organize project protocols, procedures, relationships, and performance objectives to promote and achieve targets. •	Promotes standardization in areas relating to project administration, documentation, progress tracking and technical designs. •	Coordinates projects, validates approved funding, schedules, scope verification, defining project deliverables coupled with providing technical support and oversight of assigned projects. •	Coordinates activities for the assigned projects, ensuring effective teamwork and communication, high standards of work quality and organizational performance and continuous learning. •	Prepares reports, forms, presentations, Request for Proposals, Request for Quotations, Request for Tenders, contract plans, specifications and estimates for tenders, evaluates tendered bids and makes recommendations for award of contracts. •	Establishes rapport and effective partnerships when consulting with departments to facilitate planning, coordination and implementation of identified capital projects and acts as a liaison between stakeholders. •	Chairs meetings with internal/external stakeholders for assigned projects as required including compiling meeting minutes. •	Liaises, coordinates, mediates solutions with internal/external stakeholders for assigned projects as required. •	Maintains project documentation in accordance with Department policies and procedures. •	Monitors and tracks project expenditures. Secures permits and approvals as required from external agencies. •	Successful completion of a three (3) year provincially recognized technologist program in Civil Engineering Technology or suitable equivalent. •	Fully Certified Engineering Technologist (C.E.T.) designation in good standing in the Ontario Association of Certified Engineering Technologists and Technicians (OACETT). •	Five (5) years of municipal servicing engineering experience, including three (3) years of detailed infrastructure design/transportation engineering, project management and three (3) years of providing technical guidance to others. •	Proficiency in the use Microsoft Office and applicable project management software such as MS Project including engineering analysis, design, drafting, and related Civil Engineering software/technology. •	Proficient in the application of computer software programs related to areas of municipal servicing, project engineering/planning/design or project coordination and administration in accordance with job responsibilities. •	Skilled in developing collaborative internal and external business relationships. •	Knowledge of construction methods, equipment and technologies related to design and construction including reading and interpreting, engineering drawings and specifications. •	Ability to deal courteously and effectively with consultants, contractors and the public exercising excellent communication negotiation, conflict resolution skills and professionalism. •	Excellent oral and written communication skills with ability to effectively communicate technical information to non-technical audiences. •	Excellent interpersonal, organizational and analytical skills; coupled with the ability to work on multiple projects and prioritize activities to ensure project goals are realized. •	Must possess a valid Ontario Class "G" Driver's License in good standing and access to a reliable vehicle for business purposes or able to travel on City business safely and efficiently. •	Ability to work outside normal business hours including nights as required in accordance with the Collective Agreement. •	May be exposed to extreme weather conditions and may require bending, twisting, and kneeling to when undertaking tasks on project sites. The City of Vaughan is committed to diversity and inclusivity in employment and welcomes applications from qualified individuals of diverse backgrounds. The City of Vaughan is also committed to providing accommodations for people with disabilities. If you require an accommodation, we will work with you to meet your needs.